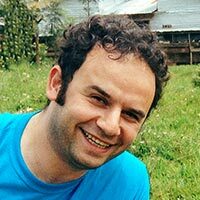 Murat Sartas, a Turkish national, is a Visiting Scientist – Innovation Systems Scientist. He holds a BSc Certificate in Economics from the Middle East Technical University, Turkey, 2005. He also obtained MSc degrees from 2010 to 2013 from different universities in disciplines ranging from Economics, Agriculture, Food and Resource Economics, and Food and Environmental Policy Analysis to Rural Development and Natural Resource Management from 2010 to 2013. Murat was a researcher at the Swedish University of Agricultural Sciences and worked with Center for International Forestry Research (CIFOR) and International Food Policy Research Institute (IFPRI) on Agriculture for Nutrition and Health (A4NH) programme in 2013. In 2006, he was an Instructor at the Department of Economics, Middle East Technical University, Turkey.